Apart from the odd, manic gun-toting Republican, the reaction to school walkouts across the US in response to the Parkland shooting has been pretty positive. In many cases, teachers have got behind the students who want to take a stand against a society where have been more than 188 shootings at schools and universities since 2000. 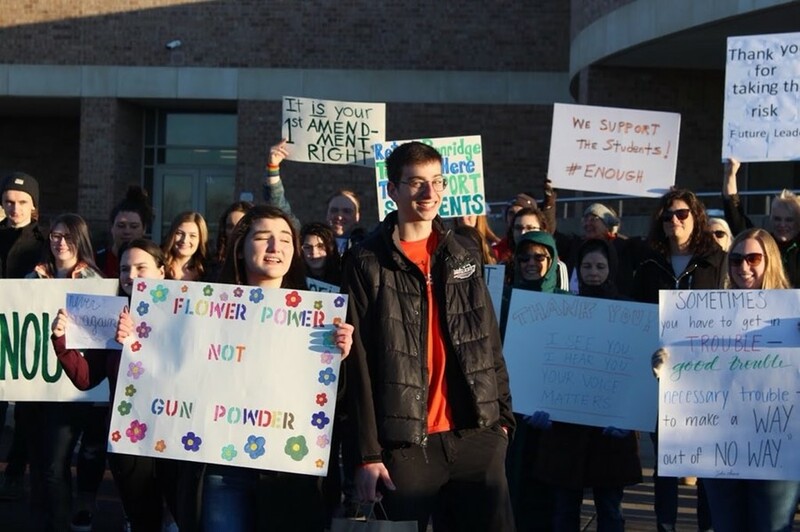 However, Pennridge High School (PHS) in Pennsylvania has taken a slightly different approach, issuing more than 200 detentions over the walkouts which happened on March 14. 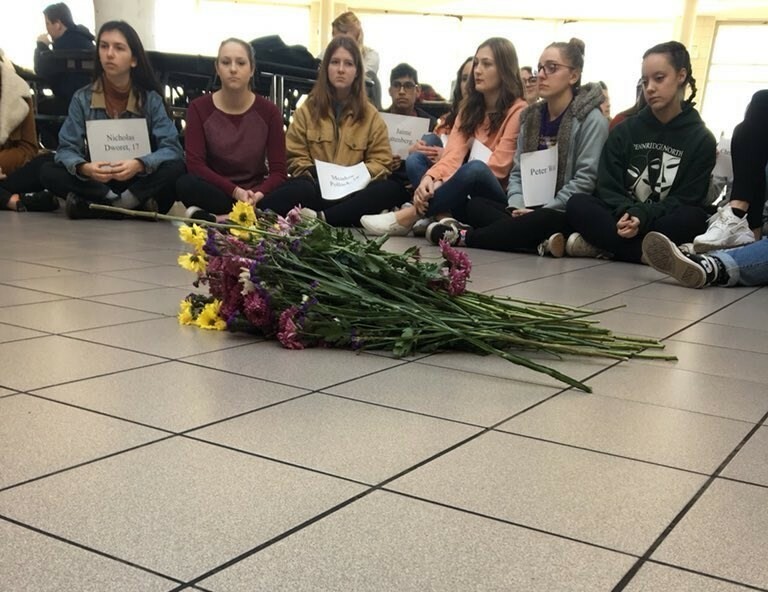 They had reportedly warned students they would face repercussions for participating in the walkout instead of attending an in-house assembly remembering the 17 people who were killed in the fatal shooting. As written by the ACLU, “Too often, adults discipline students for expressing their opinions or simply being themselves. LGBTQ students have been sent home for expressing their sexual orientation, and girls have been disciplined when they challenge gendered uniform policies.” It seems bizarre that the school would take such harsh action against young people taking matters into their own hands when adults seem incapable of doing so. Hey Sean! Did you feel a lot of pressure from your teachers and the school not to participate in the walkout? Sean Jenkins: Many of the teachers were supportive privately, as well as the administration and principles. They supported an original school-sponsored plan to walk to our football field. However, the school board stepped in over “safety concerns” and changed the school-sponsored event to a remembrance assembly. While that was great, I and the 225 students who walked out thought our best way of remembrance was to fight for ending gun violence and preventing another Parkland from happening ever again. What was the atmosphere like when you left the school? Sean Jenkins: Leaving the school, it was an atmosphere of passion and hope, but also sadness as we remembered the victims. We had students speak in the beginning and at the end, with the 17 minutes of silence being the content of most of the walkout. My friends and I had thought maybe 20 people would be a success, but over 200 absolutely blew us away. We were so honoured to stand with so many students demanding a change. And have they followed through with the Saturday detentions despite the criticism I'm sure they've faced? Sean Jenkins: They followed through with the detentions. By this point, they’re a badge of honour for us; they represent how passionate we are about the issue. We’ll stand up for what is right, regardless of consequences. Today was the first round of detentions. Because there are so many kids we have the next three Saturdays completely booked up. My detention isn’t until April 7, but I still went to greet my friends when they were released from their detention at 10am. In the detention, students sat in silence, arms locked, around a bouquet of flowers while wearing papers with the victims’ names. It was so heartwarming; parents and members of the community brought doughnuts, coffee, pretzels, and pizza and waited outside with signs showing their support and admiration for the kids. They all cheered as they walked out. Why is it important in your opinion that young people take a stand against gun violence? Sean Jenkins: It is so important for young people to take a stand against gun violence because it affects us directly. A school shooting can happen anywhere; seeing fellow students around the country be killed by gun violence is heartbreaking. When adults see us literally begging for our lives, it is more likely to make a change. For too long, Congress has sat on this issue. Seeing young people so motivated on this issue is important to keep the pressure on and make change for the better.